Time tracking software, a longtime tool of accounting and HR departments, is becoming increasingly important for small businesses to track and manage their employees’ billable hours. As such, when releasing our Fall 2015 Time Tracking Grid℠ Report, we identified a few interesting trends in the customer segment data that we wanted to share with you. Using our patent-pending algorithm, we’ve positioned each time tracking tool based solely on reviews from small businesses. Each is ranked on its satisfaction among small business users as well as its presence in the small business market. 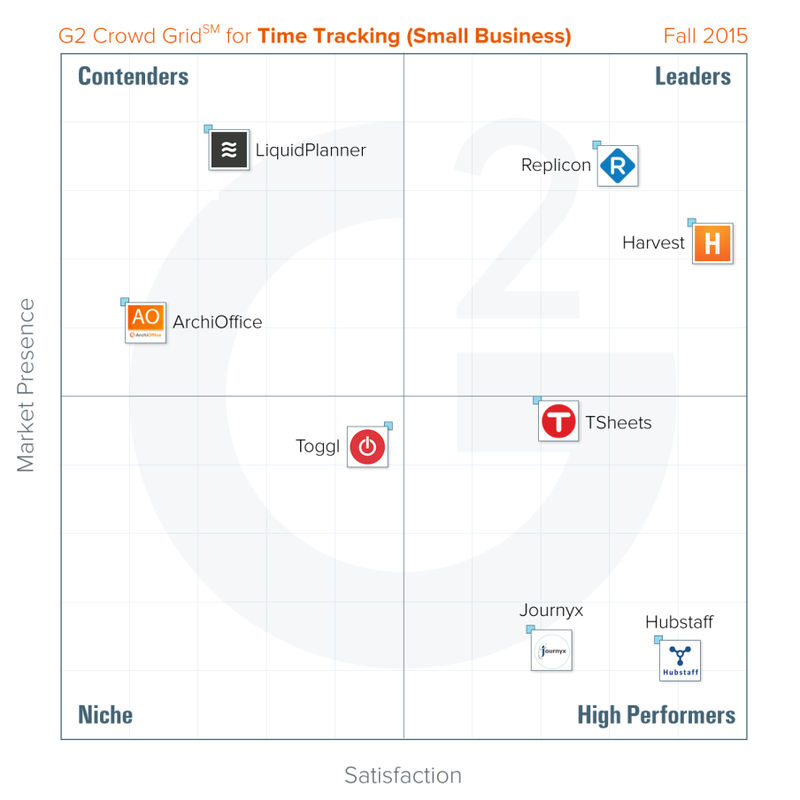 Unlike in the Time Tracking Grid℠ Report, both Replicon and Harvest emerge as leaders on the small business Grid℠. This is due to their higher market presence among small businesses than mid-market or enterprise companies. The shift in position for these two companies is unsurprising, as based on G2 Crowd reviewer data, Harvest has more than five times the number of small business users than mid-market or enterprise users, while almost half of Replicon’s users work for small businesses. 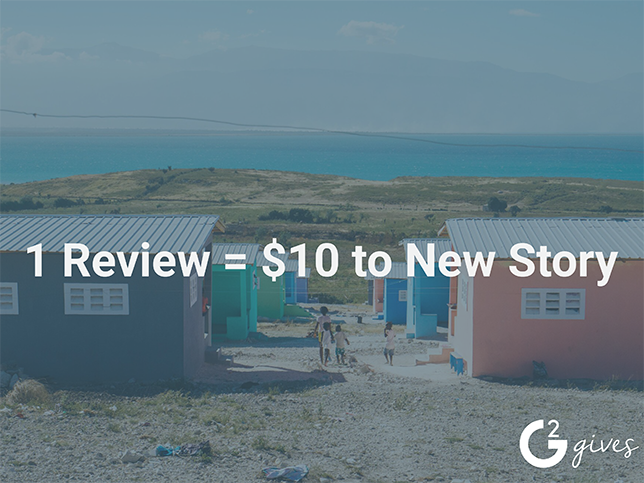 While there was some vertical movement among products on the small business Grid℠, customer satisfaction ratings in general were in line with those seen in the Fall 2015 Time Tracking Grid℠ Report. This suggests that the performance of a time tracking product among small businesses is a strong indicator of its performance potential among all users. One exception to this observation is Toggl, whose customer satisfaction was significantly higher among its mid-market and enterprise users. Based on user ratings, the vendors whose products appear on the small business time tracking Grid℠ are the easiest to do business with. These products were given a satisfaction rating of 92.75% on average for ease of doing business, almost 5% higher than the category average of 88%. This demonstrates the premium at which small business owners and users value their time, as they search for a responsive and satisfying customer experience when evaluating time tracking vendors. The three products that received lower customer satisfaction ratings among small business users (Toggl, ArchiOffice, and LiquidPlanner were actually rated more highly by users working at mid-market and enterprise companies. This could suggest that the small businesses using those products would be well-served by taking advantage of G2 Crowd’s Buyer’s Guide & Buying Assistant in order to find the perfect software to match their needs. Time tracking software is continuing to grow in popularity as business users take advantage of remote work options, and small business users represent over 50% of reviewers. Here are the key takeaways for the time tracking small business customer segment. While no product is a leader across all customer segments, two products fill leader positions among small businesses. Customer satisfaction remained relatively consistent among high performing products, indicating a correlation between satisfaction in customers and overall performance. Small business users value product vendors with whom it is easy to do business. Some products received lower customer satisfaction ratings among small business users, but were rated higher by mid-market or enterprise companies. If you’re interested in more information about time tracking software, check out the Fall 2015 Time Tracking Grid℠ Report and leave a review for any time tracking software that you have experience in!